Located just 35 miles NW of Chicago in Barrington, IL, on its' own 200+ acres of private property, Victorian Recording is a state-of-the-art facility built with the complete recording / creating experience in mind. Lots of windows provide views of the surrounding trees and pond, fresh air and natural light, which make for a unique creative environment. 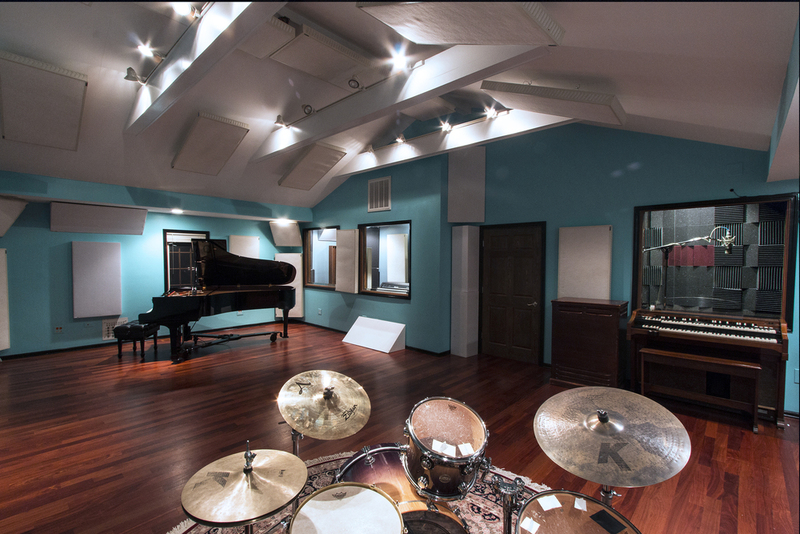 Vaulted live rooms and Brazilian Cherry hardwood flooring make for a great sound and an extensive collection of vintage and modern microphones, instruments, and outboard gear make for endless possibilities in creating your ideal sound. Record an album, a demo, by the hour, by the day, or take advantage of our overnight artist accommodations and immerse yourself in your recording project. Our ultimate goal is to provide the artist with a relaxed atmosphere, a unique creative experience and professional product. We have several large and small rooms to accommodate all your recording needs. Live Room A: Big enough for a moderate sized band and houses our Yamaha C7. This room is connected to 2 booths with physical sight lines and the rest of the studio is supported by a video system with a number of cameras and screens for maximum communication whether it's a large band or multiple voices on an ADR project. Live Room B: A great auxiliary room, perfect for strings, horns or vocalists when you have a band in Live Room A. There are also 3 isolation rooms for complete flexibility. 2 have sight lines into Live Room A and the third is supported by the video system. There are many other interesting nooks and unorthodox spaces in the building for getting those totally unique sounds. As a musician and recording engineer, Josh has been involved in the Chicago music scene for nearly 20 years. His music career started with fronting his own 12-piece soul band, The Josh Richter Band. In 2001, he opened a small studio called Electric Mayhem, where he cut his teeth on the recording scene. Passionate about making quality recordings for the independent music community, inspired to evolve and expand his clientele and recording space, he opened Victorian Recording in 2005. His goal with VR, was to create a unique environment where musicians could truly create, make art, and focused it around top end equipment, providing the highest sonic quality. The result was a space with a relaxed vibe and homey feel. A perfect home for making great records. Jazz being a passion for Josh, he has engineered countless projects for local, national, and international jazz artists. A lover of all music, he has played on, recorded, mixed, and produced dozens of additional projects of all styles and genres. His vision, expertise, and guidance ensure the highest quality care and results to all of his clients. Click here to see Josh's DISCOGRAPHY. Sean Kelly is a Chicagoland native and back in the city he loves after finishing up his degree from Capital University in Music Technology. Truly a jack of all trades, he consistently delivers high-end performance in Music Production, Audio for Picture, Videography/Photography, Audio and Visual Post-production, as well as Composition and performance for commercial and creative projects. A lover of technology and culture, of science and art, of growth and creative expansion, Sean brings a unique flavor to Chicago’s most unique recording studio. Click to see Sean's DISCOGRAPHY and REEL. Victorian Recording's diverse state-of-the-art collection of modern and vintage gear. Our spice rack. All the ingredients needed for that perfect sonic soup. Headphones from Beyer, AKG, Sennheiser, Audio Technica, Sony, and Focal. Recording for a few hours or a week, be sure to take a break and enjoy the grounds. Have a swim or just take a little time to think. Perfect for reinvigorating your creative juices.